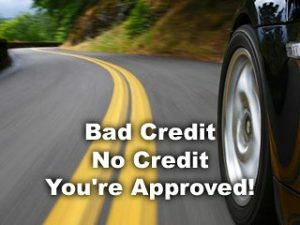 About us - Chester County Auto Finance Inc.
At Chester County Auto Finance, we provide auto loans to those with less-than perfect credit ratings or have not yet established credit. We are looking for clients who want to improve their credit rating. We have over 35 years of lending experience! Please fill out our credit application so we can get you… APPROVED! CCAF mission is to exceed our customers expectations. Our purpose, “To provide a program that exceeds our customers’ expectations and maximizes their opportunity for advancement.” We believe our customers can walk through our doors and get more than just a car—they can get on their way to a better life and better credit. This change is possible because we’re committed to reporting every one of our customers’ on-time payments to Trans Union. This helps customers who make timely payments build a positive payment history. Combined with paying all your bills on time, it could put you in a good position to raise your credit score. We also try to set you up for success with affordable payments based on your situation. And, when you make those payments, you have up to six easy options to choose from, including direct deposit.